SchoolStation - Register for Professional Development, check PD hours, & Evaluation information. 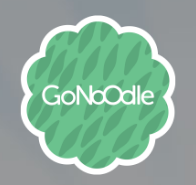 GoNoodle - hundreds of videos that get your kids active at school and at home. Edlio - Teacher Webpage site for teachers to my updates. Ask Tech Coach for any assistance. See Tech Coach to sign up. TN Department of Education TVASS Scores. Access to State data, register students for testing.